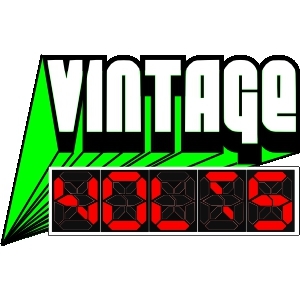 You are here: Home » Vintage Volts Podcast » Vintage Volts – Episode 1!!! Finally!!!! The Vintage Volts Podcast is officially released. Much effort (and worry) went into creating and producing this podcast. I kept delaying it because I simply could not satisfy my own need for perfection. However, if I did not just give up on trying too hard, I would have never published my first show. Instead, I went with the purpose of doing a podcast, and that is to get information out there. And so I did. I simply recorded my thoughts on a long drive home, edited it only enough to supress background noise, and added an intro. Now here it is for your enjoyment! It’s raw, but it’s ready. Future podcasts may have more of a studio sound to them as I work up many of the different ways I can go about recording something. The theme music is called Galaxy Hopping. It is a recording given to me by a friend who records under the name Emdot Ambient. In this episode, I have included the entire song at the end of the podcast. 3 Comments to "Vintage Volts – Episode 1!!!" Hi, Jeff! Great to see this podcast and I will be listening to each one. I’m a big fan of all vintage electronics, not just computers (although they are my favorite). It’s a lot of work to keep a podcast going but you’re off to a fantastic start. Just downloaded #1 & #2. Big fan of vintage electronics as well, and I had both of these items when I was growing up. I got wind of your podcast from the Antic Podcast (Randy, et al.) Keep up the good work!!! I’m still “feeling” my way through all of this. I’m also trying out different ways of conveying information from audio only podcasts to video shorts. I hope they are all as enjoyable to you and the other listeners.